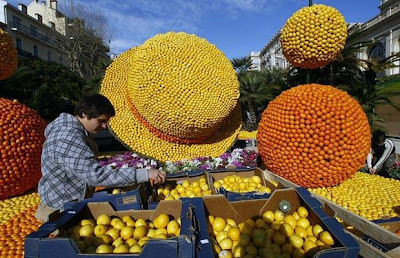 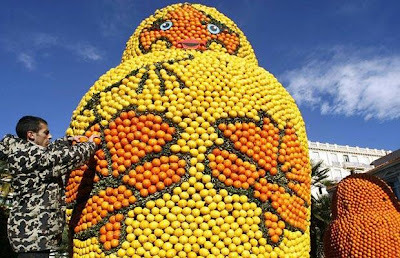 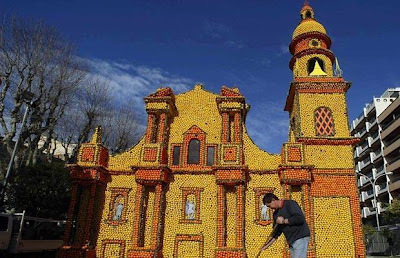 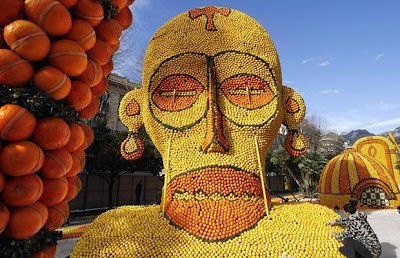 A worker tidies up in front of a castle made from lemons and oranges during the lemon festival in Menton, southern France ..
A fruit sculptor puts the finishing touches on the Zulu mask display. 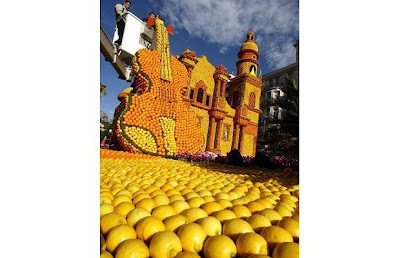 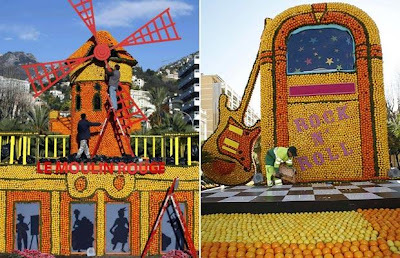 The festival, which is themed The Musics of the World, runs from this Month ..
A sculptor adds the last few oranges to a Russian doll display that stands over 3 metres tall..
Around 145 metric tons of fruit are used to make the displays during the festival.. 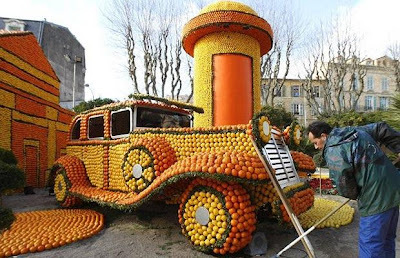 The finished display of a 1930's car stands proudly on its orange wheels..
A crane is necessary to fine tune the strings on this violin ..